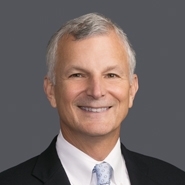 January 22, 2019 (Atlanta, GA) – Warner S. Fox has become a Fellow of the American College of Trial Lawyers, one of the premier legal associations in North America. The induction ceremony took place during the recent Induction Ceremony at the 2018 Annual Meeting of the College in New Orleans, Louisiana. Warner is a senior partner in the litigation firm of Hawkins Parnell & Young and has been practicing in Atlanta for 35 years. He is an alumnus of the University of Georgia School of Law.